Note: Duplicate materials between the Deluxe package and the VSM package are not included. 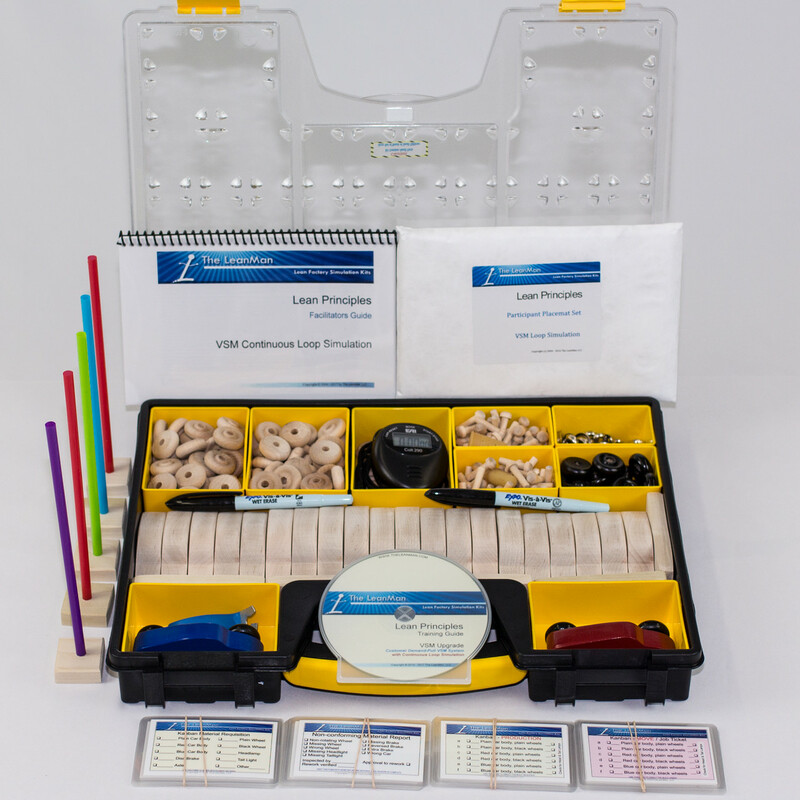 This upgrade in conjunction with a Deluxe Kit will equal a full Deluxe PLUS VSM Training Package. 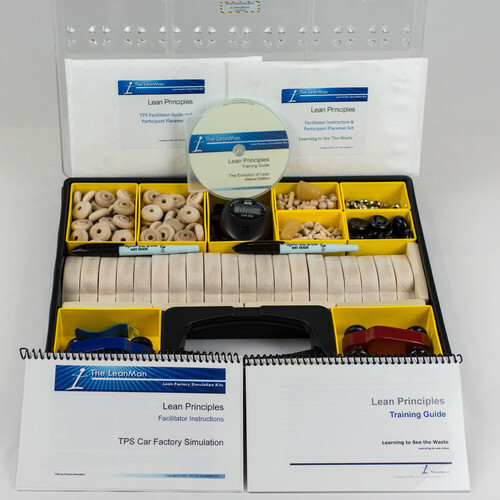 Upgrade your Deluxe Car Factory Kit, or any Deluxe PLUS Package, to include the VSM Value Stream Simulation. The simulation training will help participants understand how lean philosophy and techniques can be applied to maximize customer value, minimize waste, and reduce costs through workplace organization and visual controls, and one-piece flow, quality at the source, and pull scheduling. This simulation gives participants a basic understanding of how Lean principles, when effectively applied, can impact their company by effectively implementing lean at the correct process point along the value flow from door-to-door and avoid creating islands of perfection in a sea of chaos. The simulation will take participants through nine process points along the value stream as they set up a Lean factory. Time is also spent learning how a company can transform a traditional manufacturing firm into a Lean producer by focusing on material flow and visual communications. 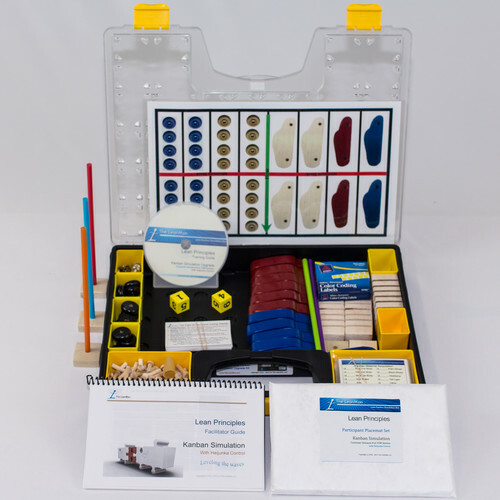 For a full description of the VSM capabilities and material items, please see the Deluxe-PLUS VSM Lean Factory Simulation Package product description from the products tab. Facilitators take note: Purchasing the VSM Upgrade as an addition to the Deluxe Car Kit, rather than purchasing the complete Deluxe PLUS VSM Package, results in obtaining the materials for each simulation packaged into two separate single-deep containers. This may be an advantage for those who would like to sometimes present the standard car factory simulations without toting the additional VSM materials with them each time. (Value Stream Map) This 9-step event focuses on each of the nine point processes in the value chain from customer order to customer delivery, one process at a time. 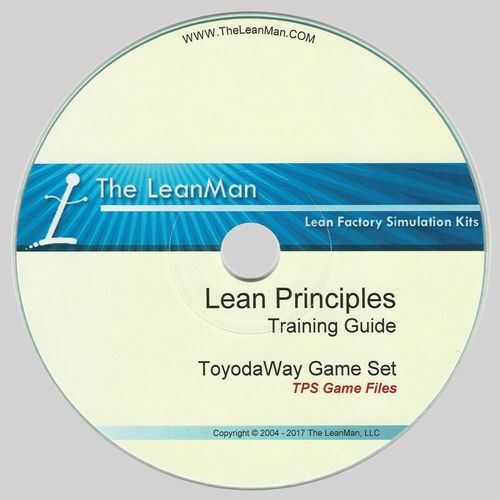 Each exercise introduces lean techniques such as kanban material and visual signal devices, use of target tracking reports, kaizen forms, and continuous improvement metrics. This simulation exercise also provides an excellent basis of understanding for Value Stream Management training for the LEAN office.